When a dog becomes vicious and attacks a human, the damage inflicted on the human can be life-threatening. Take, for example, a horrific dog attack that occurred at Greater Motor Sports of Palm Beach on 1466 North Military Trail. A 60-year-old man was attacked by three pit bulls and suffered catastrophic injuries. Police were called to the scene and discovered the man covered in blood, being attacked by the dogs. The deputy rushed over, according to an incident report, and tried to divert the attention of the vicious pit bull. The dogs aggressively approached the officer who wound up shooting one of them, according to the Sun Sentinel. This is a prime example of just how serious dog attacks can be. The victim suffered permanent bodily injuries that will leave him scarred for life. This is the next step after a dog bite. You should immediately get medical attention. The injuries you have might require stitches and other medical procedures. Getting medical attention also means the dog bite can be checked for an infection. Getting medical attention can also serve as objective proof that you were injured in the attack. If you don’t get medical attention, the insurers and the dog owner can claim that the injury isn’t one serious enough to warrant compensation. After getting medical treatment, you should create a record of what happened. You should immediately file a bite report with the local police. You might be surprised about how hazy details of the incident might be. Getting a record will make sure the police and insurance company have something to deal with. Just like other states, Florida takes a “strict liability” approach to dog bites. 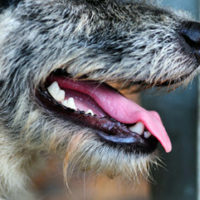 This means that the dog owner will be liable for a dog bite, even if the dog has not bitten anyone in the past. An important issue is where you were when the bite happened. If you were on your property, or at a public place, then the owner would be liable for the attack. The dog owner will also be strictly liable if you were lawfully on their premises. However, if you were found to be trespassing, that may make the strict liability statute inapplicable. After determining these issues, the next thing is for you to contact an attorney with the Pendas Law Firm. Our team of attorneys can help you bring a claim for the dog bite. You should make sure you meet a lawyer as soon as possible. In Florida, the limitation period for personal injury cases is four years. Our West Palm Beach personal injury law firm has experience representing folks throughout the Fort Lauderdale, Tampa, Orlando, Fort Myers, Jacksonville, West Palm Beach, Daytona Beach and Bradenton areas.